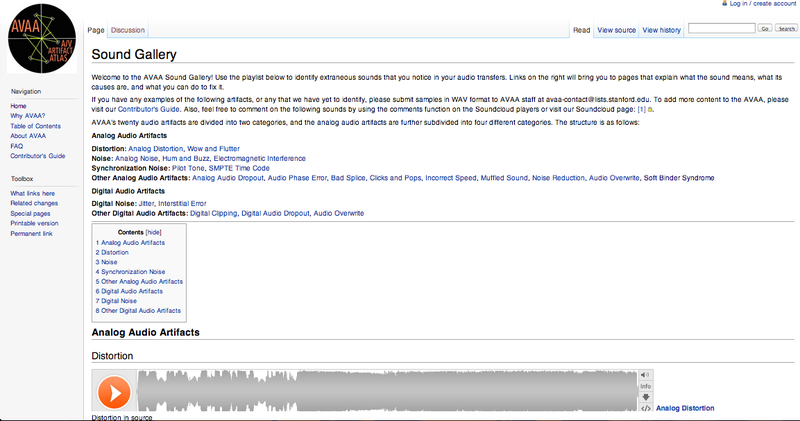 Two summers ago, the team at the Stanford Media Preservation Lab (SMPL) decided something needed to be done about the lack of shared terminology surrounding audio-visual “artifacts” found in reformatted media. We had our own ideas of what artifacts looked and sounded like based on our own experiences, but we were not convinced there was community consensus around the terms we were using. Putting together an internal document that describes what certain sonic and visual artifacts are is one thing. Many of you probably already have something like this for training new hires performing quality control. We did too, and it was fine for what it was, but it failed to address the larger issue of what these terms meant amongst our peers. While we do most of our reformatting in-house, we rely on vendors as well. Wouldn’t it be great, we thought, if vendors could point to a shared resource where a technical term was briefly described with an audio or visual example in order to facilitate understanding between the institution checking the work and the vendor providing the service? There was a learning opportunity here for all involved, but more importantly it was an opportunity to involve people other than us at SMPL in the creation of something that would be greater than what we could produce on our own. MediaWiki seemed like a logical platform for this kind of endeavor because we felt it would be familiar to many in our community, thereby encouraging easy editing and new entry creation. Thanks to hosting support from our friends at the Bay Area Video Coalition, we were able to get a site up and running in the fall of 2011. All of the initial entries were created by SMPL, and supplemental media examples were supplied by New York University. 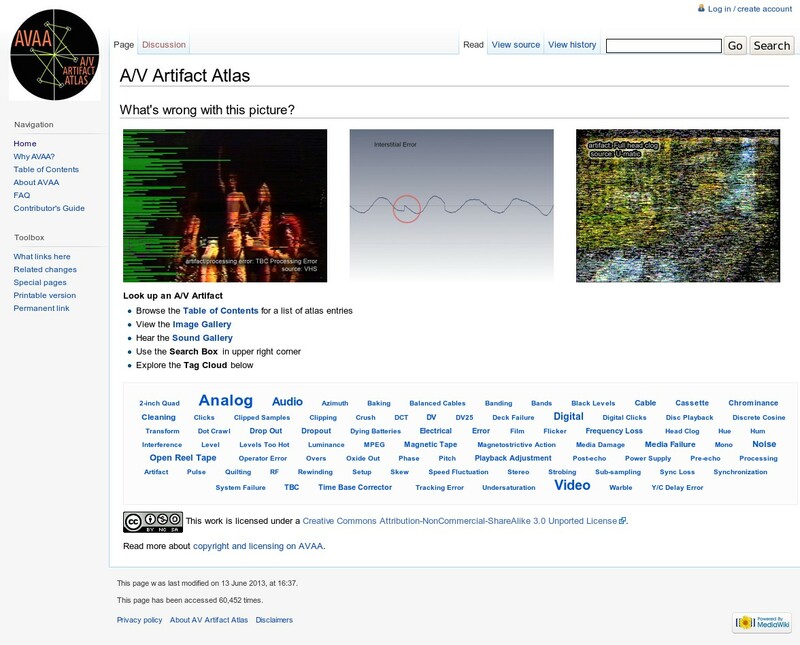 SMPL lab manager Hannah Frost presented on the Atlas at the 2011 Association of Moving Image Archivists (AMIA) conference. Despite an initial flurry of excitement at the conference, we did not see a corresponding increase in contributions. Reaction on the ARSClist and AMIA-L could be characterized as tepid at best. We began reaching out to well-known names in the AV community, soliciting general contributions or help with specific artifacts. Here at SMPL we handle a modest amount of formats, but we have some significant gaps in our reformatting capability. For instance, we do not digitize film or open reel video (yet – open reel video is coming soon! ), and we were hoping someone with expertise in those areas would chime in. There are numerous audio formats we do not accommodate either, particularly the dictation formats such as wires and dictabelts, and we’re always looking for more disc specialists to speak up. There have been a few encouraging developments recently though that we want to highlight. 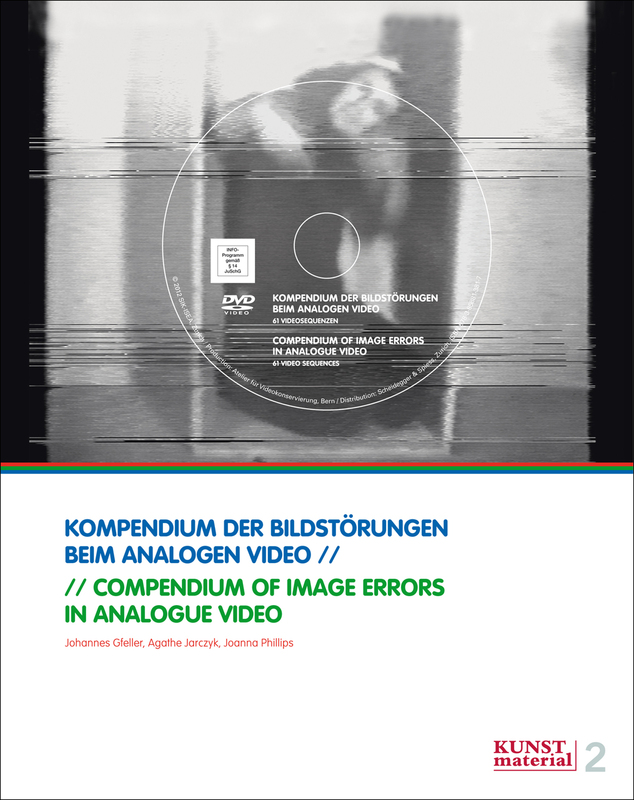 Earlier this year, Johannes Gfeller, Agathe Jarczyk, and Joanna Phillips published a book titled “Compendium of Image Errors In Analogue Video,” a tremendously well done reference work on analogue video artifacts with an accompanying DVD. We purchased a copy, and in the near future we will go through it and compare it against what’s in the Atlas, adding and updating as we go and further refining our terminology. On the audio side, we were lucky to have Emily Perkins, a student from UT Austin’s School of Information, complete her capstone project on the Atlas this summer. Her largest contribution was in the creation of a Sound Gallery which both visualizes and categorizes the audio related artifacts. Working with myself and the preservation sound engineer here at SMPL, she also went through all the audio entries and added additional details, references, and explanations for clarity. We we were all quite pleased with the outcome and the enthusiasm she showed towards the project. If you are a current student and have an idea for a capstone project, or just simply a feature you want to see implemented that’s missing, please get in touch! Our contact information is on the SMPL site. I love the AVAA!! Not tepidly!